Aspen for Men (Cologne) is a perfume by Coty for men and was released in 1989. The scent is green-fresh. The production was apparently discontinued. The scent was released in association with Quintessence. First of all, let me start by saying that it is acclaimed and undoubtedly beautiful fragrance. It is one of those fragrances which most of us can enjoy and it is one of the least offensive fragrances. Where is it inspired from? When you smell it, you would be taken back to nature. Imagine, you are in woods on sort of grassy terrain and it has just rained a bit. Land is bit wet, and all the plants around are shining under the bit cloudy sun. You are walking down the terrain and happen to enter into forest of oaks, and trees are still wet and so is moss on them. You take a sniff and it's very green, fresh and bright. It is just so peaceful, and graces your mind with the connection with nature. This scent is absolutely beautiful. How does it perform? Where do I wear it? About the performance, it does what most colognes do, lasts for couple of hours but it is very likable. Many reviewers say that this is fit for outdoors, and it seems to be fit. I wear it in office, and it works well in indoor settings, not choking anybody with deep and dark scents. Although, I am big fan of the scent, but performance doesn't work for me. This is majorly summer/spring scent and is pretty versatile. Price is dirt cheap. I suggest everybody to keep a bottle for those camping/trekking days. It is inexpensive and you wouldn't mind if you happen to lose one on travel. 10-15 dollars globally for 120 ml cologne concentration. I wish Coty had released in EDP variant and this could have lasted for 6-8 hours. Otherwise this is a rockstar. What does this reminds you of? At this price, it is necessary to start over the complaints about synthetic components, etc. It is a 120 ml eau de cologne at just 10 euros. But I think it is extremely enjoyable. I think it's kind of Cool Water but with green tones instead of aquatic tones. A fresh, clean and green scent. Generally reported to other perfumes (pleasant smell, 1 hour projection, longevity of 4-5 hours) I could say that is for me 7.5 / 10. If I report everything at the price, I personally think it is 5 * / 5 * and for me it is the leader in its price category. ...we would probably have a lot more variety in scents. So many fragrances out on the market today take advantage of similar notes that made Cool Water so popular. Aspen for Men is not an exception. There is definitely a Cool Water vibe going on top and heart with the lavender and mint, along with the amber and oakmoss in the base. Aspen smells more astringent, greener, and far less complex than Cool Water, but they are definitely cousins in some respects. Both evoke a freshly showered feeling, and both last quite well. Both can also be had for incredibly reasonable prices nowadays....not the case when I used Aspen regularly. So, would I say Aspen is a great substitute for Cool Water? No...Cool Water is much more complex and satisfying to wear than Aspen. However, that does not mean Aspen is a bad fragrance. It is simply less complex. Simple in this case is a good thing; none of the notes smell cheap (unlike some much more expensive designer brands), and it can be had for reasonable at almost any drug store, or for incredibly cheap online. 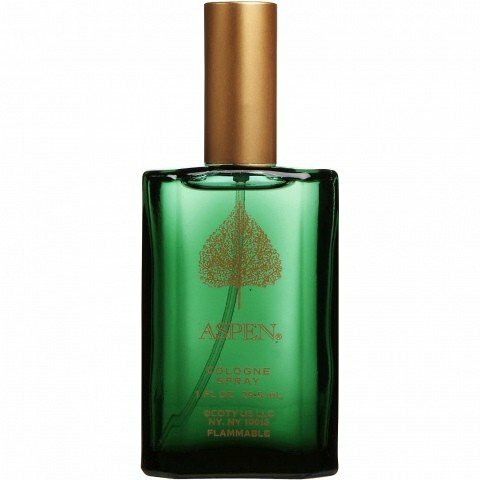 I would quite happily suggest Aspen as a gift for someone who is younger, maybe a teenage boy's first fragrance, or for someone who isn't a fragrance aficionado and just wants to smell good and clean. It excels at both of these. Plus it's easy on the pocket book. Powerful, green but only decent performance. Its very very good smell. Cant replace Green Irish Tweed though.